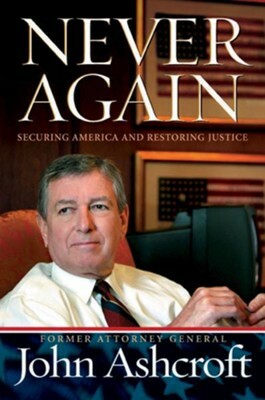 John Ashcroft's service as the U.S. attorney general began with turmoil: a loss to a deceased challenger in his U.S. Senate reelection campaign and a tumultuous confirmation battle. The, on September 11, 2001, his job was transformed into the greatest leadership challenge an attorney general has ever faced. In this book, Ashcroft breaks his silence abou historic events that transpired during his term of office-including the largest terrorist attack in U.S. history, the enactment and defense of the Patriot Act, the execution of Timothy McVeigh and more. Readers will meet the man behind the title and hear his take on the dangers to and within American from outside forces and discover what he did to repair the serious breaches in our country's security. at what Ashcroft believes will make America safe. I'm the author/artist and I want to review Never Again: Securing America and Restoring Justice - eBook.